Set of three awesome mockups in 3 angles from Beauty Mockup Scene Generator. You can change compositions by just moving items or change colors of each item. Also check out for full version( https://lstore.graphics/beauty/). 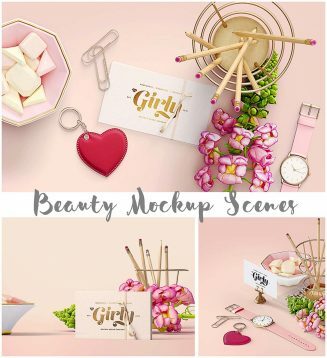 Tags: beauty, girly, heart, mockup, pencil, scene creator, scene generator, woman.